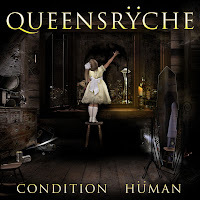 The consensus seems to be that this second Queensrÿche album with vocalist Todd La Torre is superior to the first one. I don’t know about that. I admit that in my review of the ”s/t” album, I was perhaps a bit too overjoyed about the band going back to their early style. It’s still a good album but I have to say that I haven’t listened to it that much after finishing my review. I feel that this album will suffer the same fate. 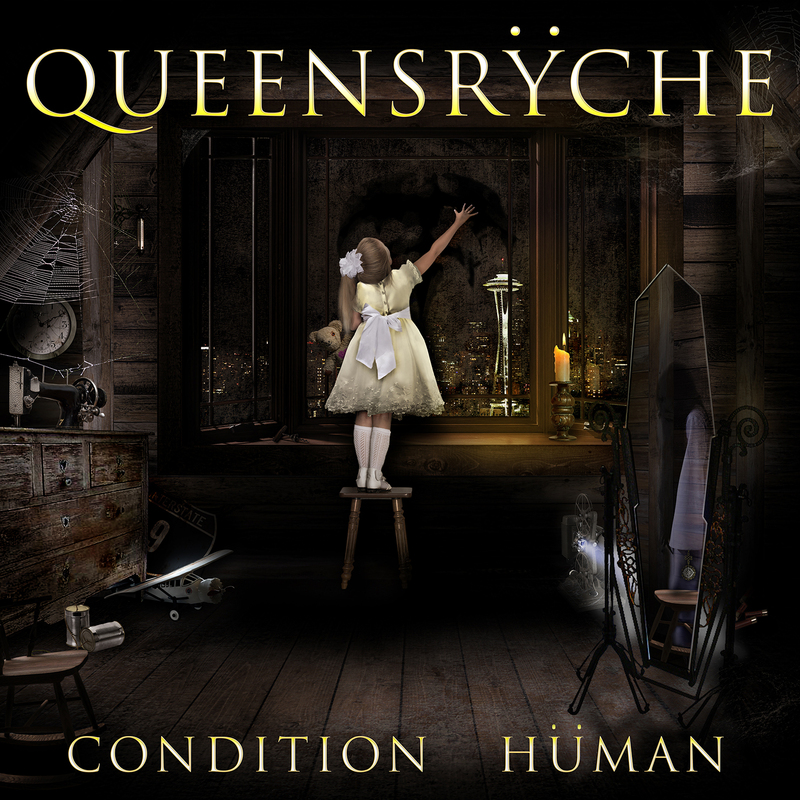 It’s quite good and the band sounds like vintage Queensrÿche, but somehow I just don’t seem to get a grip of the songs. 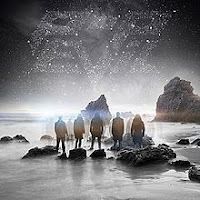 I’ve listened to the tracks quite a few times, yet only a few of them have the kind of riffs, melodies and hooks that leave a lasting impression - like ”Arrow Of Time”, the title track and ”Guardian” with it’s familiar ”Revolution Calling” catchphrase (or is it ”evolution”?). Still, despite its’ shortcomings the album is a true ’Rÿche album featuring a band that sounds convincing and enthusiastic. They are playing the kind of music that they want to, and that’s something special. Maybe a few additional spins will make me change my mind about the songs, but as of now, it’s three R’s… okay, let’s throw in some umlauts there! Christian (Sundell), Ola (Af Trampe) and Peter (Sundell). That’s their excuse for yet another bloody D.O.T band name… but let’s just concentrate on the positive things, like the band’s music for instance! All three members of the band have a band called Grand Illusion in their past, and I think most Grand Illusion fans will enjoy these songs too. The ”C.O.P. Rock” might be a bit more straight-forward, but Peter Sundell’s distinctive vocals and the band’s love for big, melodic choruses are a reminder of the past. For those not familiar with Grand Illusion, I’d describe the band’s sound as a mixture of Zeno, Harlan Cage and 80’ies TNT with lots of keyboards, all iced with the Swedish melodic sensibility. Damn, do they spend hours studying ABBA in the Swedish elementary schools or what? 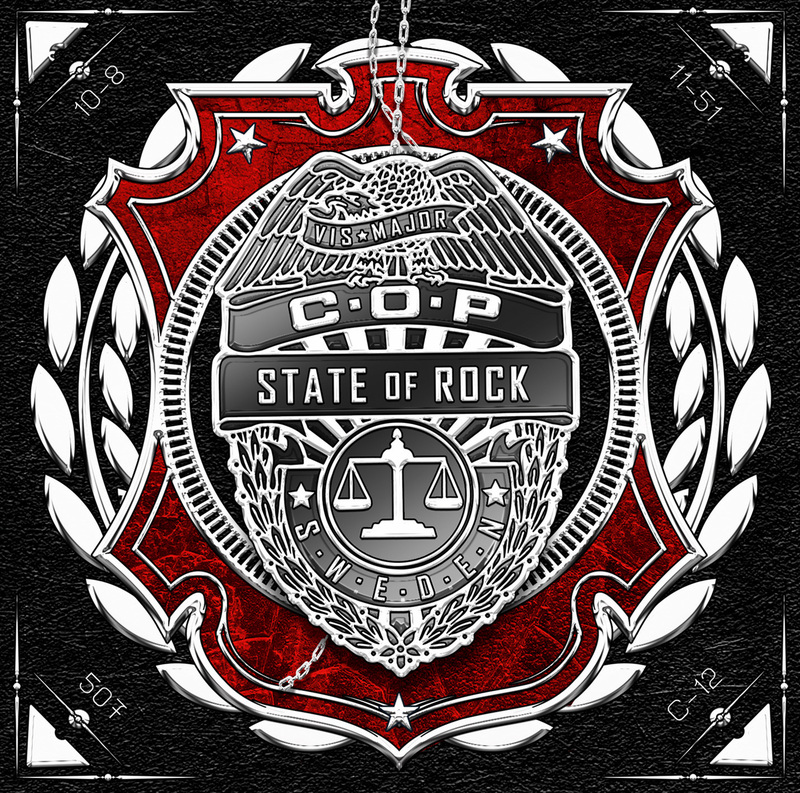 The standout tracks on ”State Of Rock” include the super-catchy ”In The Night”, ”Loner” and ”I Want The World To Know” which reminds me a lot of Harlan Cage/Fortune. Even though the album is very keyboard-oriented, it never sounds too wimpy, underneath the layers of keys there’s a solid guitar foundation by Ola Af Trampe which gives these songs a bit of an edge. Same goes for the songwriting, the songs have a darker edge than most standard AOR songs. Don’t know about you but I find that very appealing. 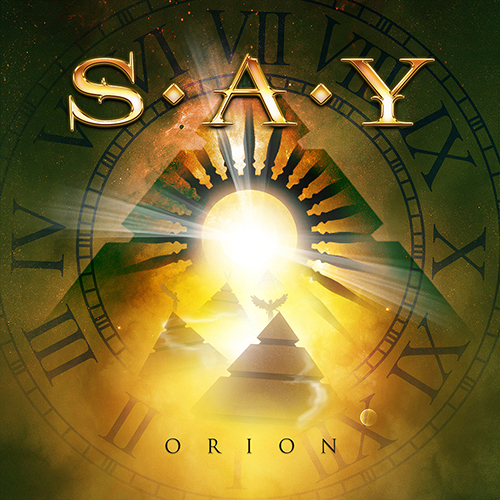 I won’t try to pretend that I can keep up with the current UK melodic rock scene. There’s a few guys who are keeping themselves busy with multiple projects and bands, and Lifeline features at least two of these workaholics - Lee Small and Nigel Bailey. 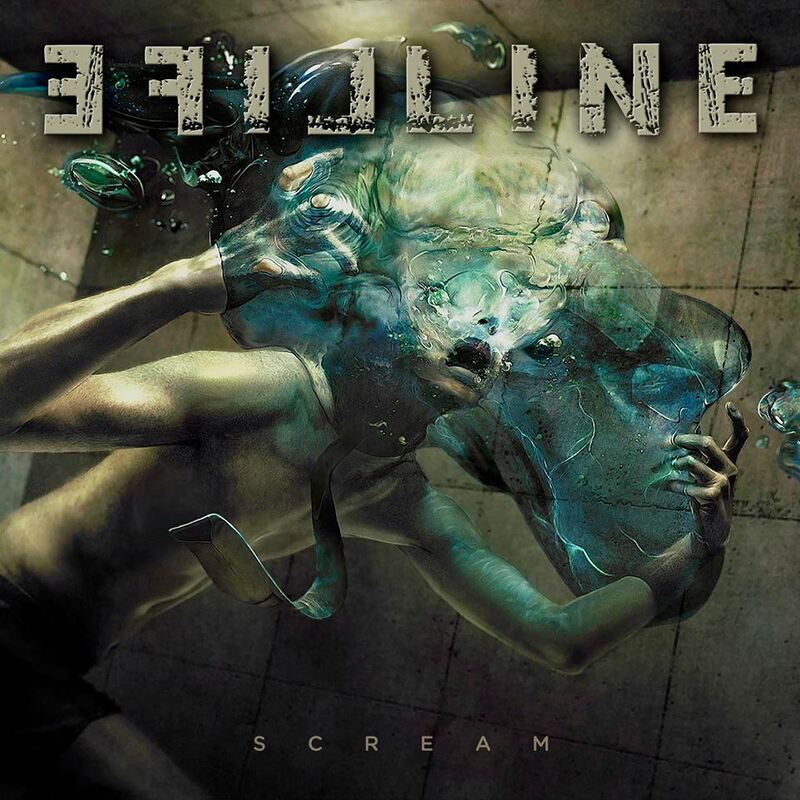 Lifeline is the latest (or one of the latest) projects with two vocalists sharing the lead vocal duties. Lee Small has sung with Shy, Phenomena, Snowfall, Skyscraper while you might know Nigel Bailey from Three Lions, his own band Bailey or Stan Bush’s Rockingham live band. 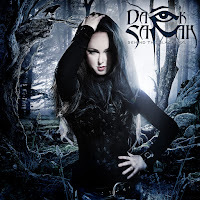 Both are great singers, Small has a bit of a Glenn Hughes-like voice while Bailey has a more of a raspy one with some similarities to Joe Lynn Turner’s voice. They sound good on ”Scream”, separately and together. The band’s music has its’ foundations in the classic hard rock sounds of the seventies and early eighties. Many of the songs have a strong Turner-era Rainbow-vibe, while others remind me of Thin Lizzy (”Far From Home”) or early Whitesnake (”Destination Freedom”). My personal favorites are the strong opener ”Fear No More”, the AOR track ”Feels Like Love” and ”Danger In The Sky”. 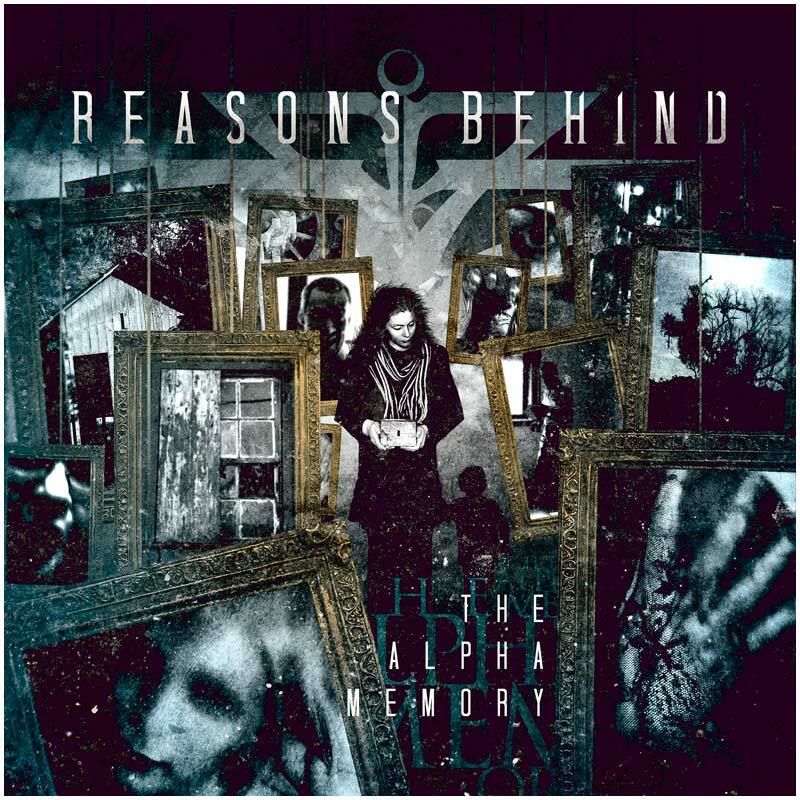 Found this album from the ”to be reviewed” folder… Reasons Behind… the press material included a lot of photos of the band’s lead singer Elisa Bonafe, but not much else… so, let’s google it…”Modern metal with strong electronic influences and charming female vocals.” Ok.
Who could I recommend this to? 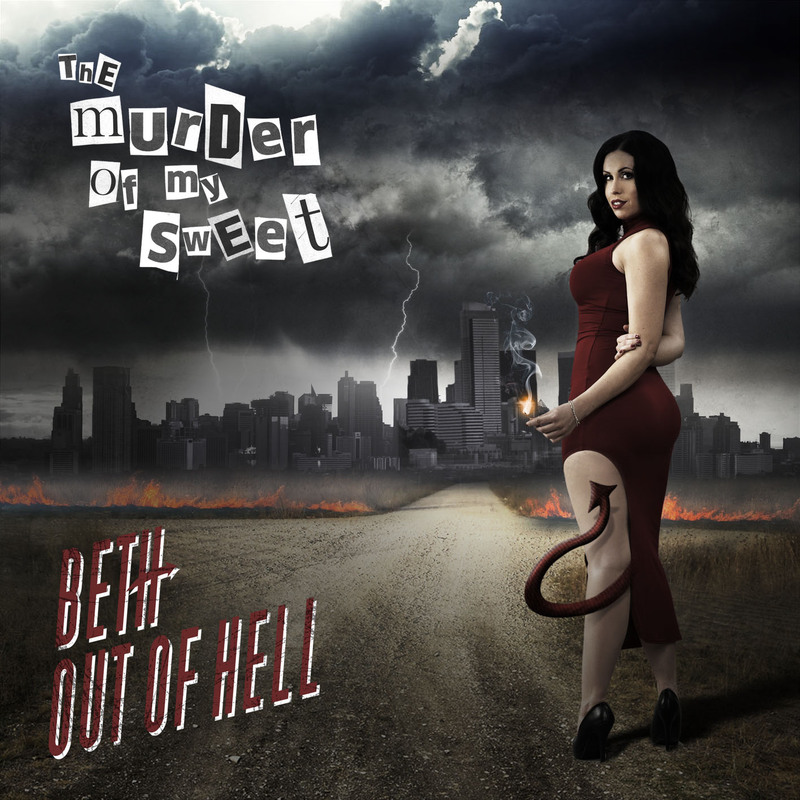 Fans of early Nightwish and Within Temptation might want to investigate. There are videos on the band’s website. 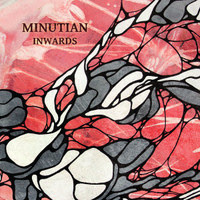 Inwards is the second album of Finnish prog rockers Minutian and this album is dedicated to the memory of guitar player Jaakko Jernberg, who died in 2012. 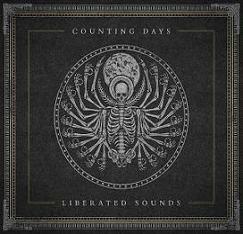 Inwards contains nine new songs and the last track Redeemer was was composed by Jernberg. Most of the tracks are long (maybe some are too long?) and do not offer enough variety to keep the attention of the listener. Songs like Burning Light, The Crust Of The Earth and Aphelion just drag on and on and do not even have decent guitar and/or keyboard solos. But what irritates me most are the too dominant vocals of Mikko Heino; he just sings too much and his voice really gets on my nerves after a couple of tracks. The only two interesting tracks are On Derelict Sidings and Void Within as both at least feature some musical variety and intelligence. Most boring and tedious song is without any doubt the last one Redeemer, a song that does not come "alive" at all. Minutian is NOT my cup of tea but maybe there is an audience for music like this, but I think that in this genre, prog rock/metal, there is so much more to enjoy than Inwards, that this CD will end up on a pile of nice try but did not succeed. Came Callin'. 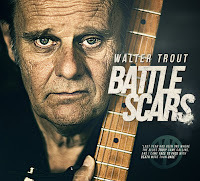 Battle Scars is a chronicle of Walter Trout's survival after his liver transplant; staring death in the eye and not knowing if he would live to go on making his music. On this excellent new album are 12 tracks dealing with his battle between life and death and the lyrics are really emotional and also give a message of hope and will power. 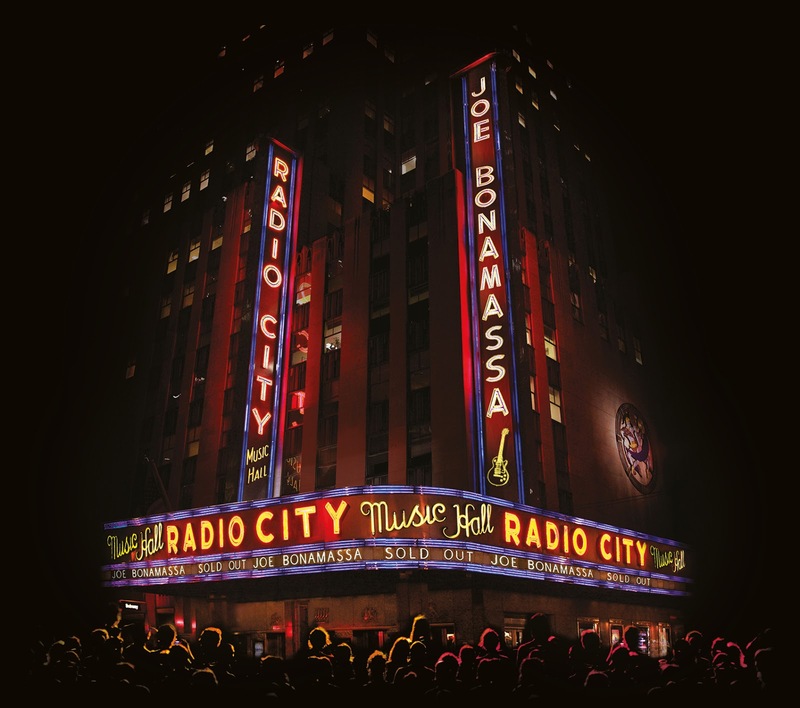 The album kicks off with Almost Gone, featuring harmonica, two superb very bluesy guitar solos and of course very emotional lyrics dealing with Walter's illness and his survival. Another highlight on the album is Please Take Me Home, a classic blues ballad with almost magical, out of this world guitar solos; showing that Trout is still one of the best guitar pickers in the bluesrockworld. Fly Away is an up tempo blues rocker with a catchy chorus and a mean, almost swampy, howling guitar solo. Move On is maybe the "heaviest" song on Battle Scars; a blues rock track with heavy riffs and hooks and two mean and lean guitar solos. My Ship Came In features Trout on harmonica again, but the song almost explodes with the howling high guitar in the end. Cold, Cold Ground ia another Trout milestone and reminds me of good old Jimi Hendrix, as it is a classic slow blues song filled with astonishing guitar work. Trout's guitar solos on Cold, Cold Ground are probably the best on the entire album. Unfortunately Trout also composed two mediocre tracks for Battle Scars, being the utterly boring acoustic Gonna Live Again and the last track called Sammy, Sammy which in fact only features one minute silence and a speaking voice! 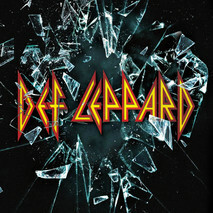 Without these two missers, Battle Scars would have received the perfect rating from me; but this album again shows/proves that Trout always will have a special place in my blues (rock) heart; especially if I listen to outstanding tracks like Cold, Cold Ground, My Ship Came In, Please Take Me Home and Fly Away. The emotional, heartfelt lyrics do the rest: "Last year has been one where the blues truly came calling and I came face to face with death more than once. "(Walter Trout). 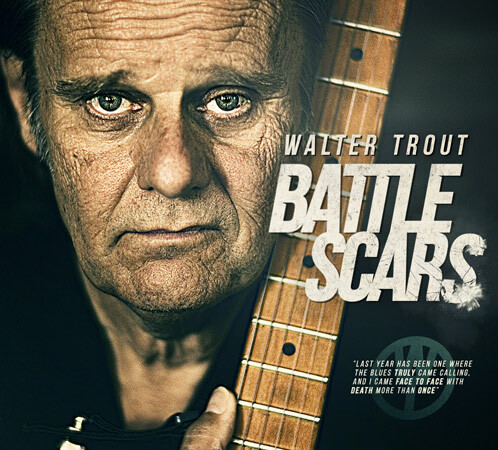 Battle Scars is a fantastic blues rock album and I hope that Walter (with his new liver) will live for many more years and make excellent albums like this one. 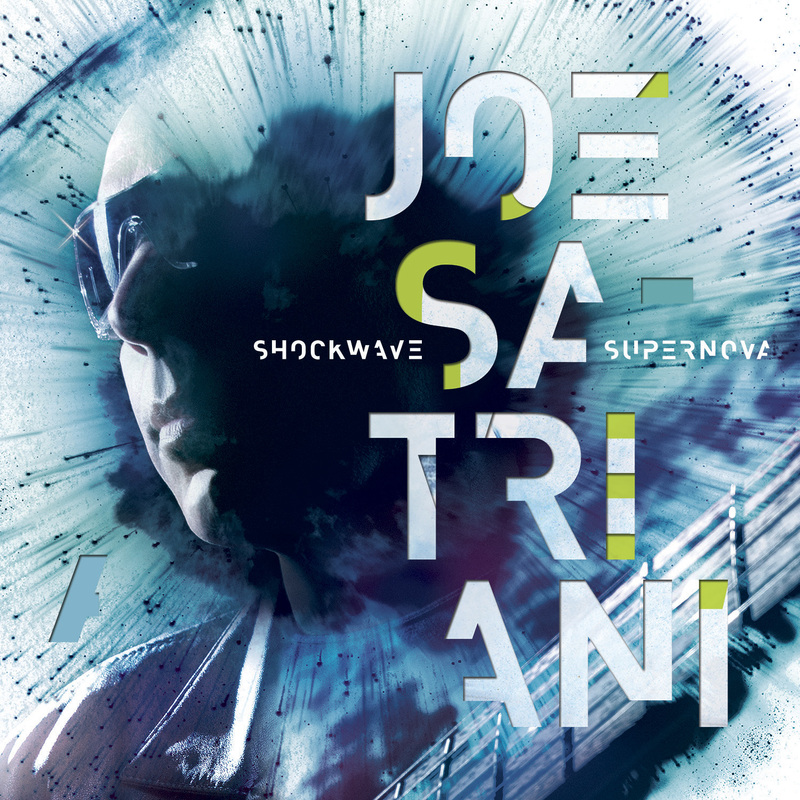 Highly recommended for lovers of real blues rock with steaming guitar solos; play it loud and often!! On their first album ”Wrong Things Right” The Radio Sun actually didn’t do the wrong things right, they did the right things right as far as I’m concerned. It was a nice collection of what I’d call ”summertime pop-rock”. On the new album, the band seems to have left the sunny days of summer behind, as I don’t get that ”summer vibe” out of these tracks. It being the end of October as I write this might have something to do with it too… But anyway, the songs are still melodic and catchy, but maybe a touch darker. Just like on the previous album, each one of these songs could be considered as singles. The choruses are big and the harmonies smooth as ever. Compared to the debut there’s a bit more variety, subtle keyboards add a contemporary sheen to some of the songs. 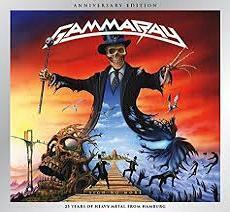 Then there are others which have more of a metallic flavour, the title track being one of those for instance. Favorites of mine include ”Dying Without Your Love”, ”Hanging By A Thread” and ”Madness In This World” but frankly, there are no throwaway songs here. After the first spin I wasn’t too sure whether I liked this album as much as the first one. Vocalist Jason Old’s very unique style of singing started to bug me a little and the songs just didn’t seem that catchy. Now that I’ve given this album more time, the hooks have found their way into my head… I still think that every now and then Mr. Old tends to streeeeeetch the words unnecessarily though. 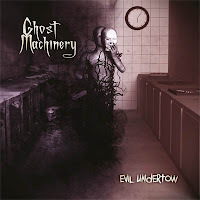 A few years have passed since the previous Ghost Machinery album ”Out For Blood”. That was a solid piece of work but I’ll have to say that ”Evil Undertow” is even better. Guitarist Pete Ahonen gave up his vocalist duties in his other band Burning Point, but meanwhile in GM he decided to step back to the microphone and became the lead vocalist again. 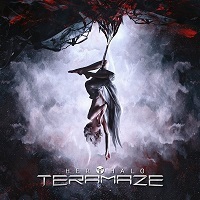 The last album featured Taage Laiho (Kilpi, Altaria) on vocals. Fans of his voice should try to get a hold of this album’s limited edition, which features two superb cover versions with him on vocals, namely ”Fight For The Strangers” and ”Never Stop Runnin’”. Both are originally semi-legendary Finnish metal songs from the eighties by Iron Cross and Zero Nine. The main ”core” of the album are the 9 new songs and one cover found on the normal edition of the album. The originals are all hook-laden metal songs with fine guitars, pompous keyboards and gritty, yet melodic vocals. Out of them my picks would be the opener ”Arms Of The Strangers”, ”Brave Face”, the Queensryche-like ”Dead Inside” and Dokkenesque ”Lost To Love”. Apart from the aforementioned bands, you can hear influences from ”Eclipse”-era Yngwie and many more classic melodic metal bands. The one cover is Robert Tepper’s ”No Easy Way Out”, which is a great song. I’m not ”that” fond of the GM version though. The song’s classic bass line is a bit buried under the guitars and keys. Still, you can’t ”kill” a classic song like this by small changes and this is a worthy addition to the track listing. Anyway, earlier this year I think I said that Stargazery’s latest album is my favourite from the products of Pete Ahonen Metal Factory. I’m not so sure anymore, here we have a serious contender. This young rock trio from The Netherlands have recently signed a recording deal with Steamhammer/SPV and they have released their new album Blessing In Disguise on 18 September. Steef van den Bogaard (guitar/vocals), Sven Hompes ( bass guitar/vocals) and Jules Eck (drums) debuted with Back To Mayhem in 2012 and since then their popularity has grown. Furthermore these young musicians toured with the likes of Deep Purple, Saxon, Slash, Status Quo and Chickenfoot and this of course also helped a lot to become more known in the music industry. 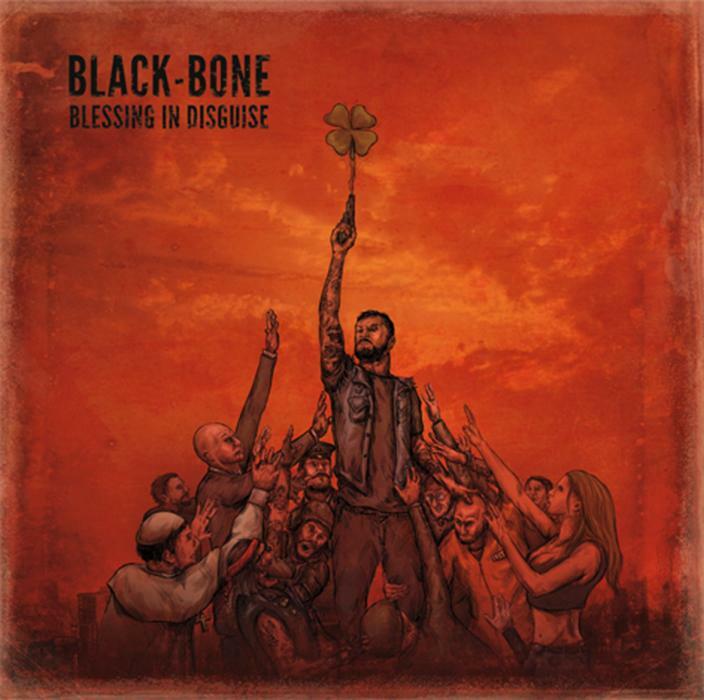 Black-Bone plays heavy rock and roll at its best and they are obviously influenced by iconic bands like Guns N' Roses and AC/DC; but they surely have their own musical style. The album, produced by Peter van Elderen (frontman/guitarist of Peter Pan Speedrock), the albums kicks off with the up tempo Nothing But History (the first single of the album); a song that reminds me of the rather unknown Dutch band New Adventures. Suicide Ain't No Way Out is one of the best songs, filled with great hooks and riffs and an excellent rough guitar solo. Wrong is a power ballad, which is new for Black-Bone as they have never played ballads before, and is rather melodic with two great guitar solos. 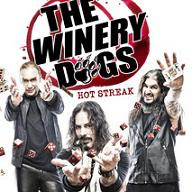 Wrong has a kind of arena rock ambition and it could be a great anthem for these guys. But the musical highlight of this album is the track Save It For Tomorrow, which is real headbanging stuff, with heavy, catchy musical passages, lots of variety and again a more than superb guitar solo in the middle of the track. 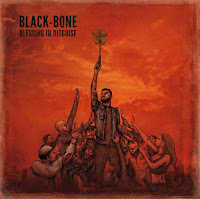 However,after listening to the album a couple of times I have to say that Black-Bone's songs, like Never Too Loud, Ashereah, You Gotta Nerve and Wasted Years tend to be very similar to each other. 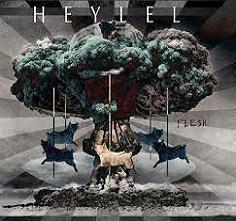 Meaning: the same tempos, similar riffs/hooks and the same vocals, which makes this album a bit too predictable... But nevertheless these three young Dutch musicians grab you by the balls and showcase their stuff in a very positive and aggressive way.Let's see what the future will bring for this promising band and until then, just enjoy Blessing In Disguise, at maximum volume of course, that goes without saying. Best tracks to listen to: Suicide, Wrong and Save It For Tomorrow! I never tought that this would be possible, bringing out a new album after a 19 year hiatus; but it is. Notorious Ugly Kid Joe have released a brand new album featuring 9 new tracks and 2 covers. 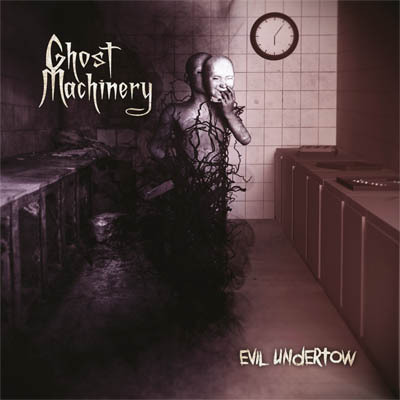 Uglier Than They Used Ta Be was recorded in Louisiana under the helm of no one less than Dave Fortman, who has worked with Godsmack, Evanescence and Slipknot in the past, and features a seven member line-up of the band. The excellent album starts with the first single Hell Ain't Hard To Find, an up tempo track with heavy funky riffs and great singing by Whitfield Crane. Third song Bad Seed is the first highlight and has a remarkable gritty bass guitar line and the guitar solo in that song is just sheer brilliance. 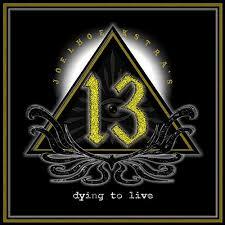 Under The Bottom is a great rather heavy track and features a very Black Sabbath influenced guitar riff. Enemy the longest song on the album, kicks off as a ballad, before it resurrects into a very hard rock hitting end with phenomenal guitar solos. So far so good, but then we have the utterly boring acoustic ballad Nothing Ever Changes and the two cover songs and you know I hate acoustic songs and covers... Ace Of Spades (Motorhead) features Phil Campbell on guitar (he also plays on My Old Man and Under The Bottom) and on the second cover Papa Was A Rolling Stone (Temptations) UKJ is assisted by Dallas Frasca on vocals. 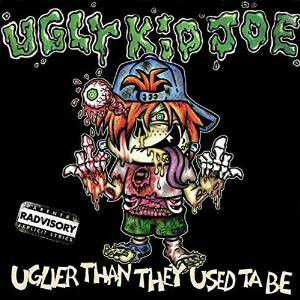 Uglier Than They Used Ta Be is a good rock album (despite the acoustic song and the two covers) and it contains all of what was and still is Ugly Kid Joe and it was defintely worth the wait of 19 years. Recommended listening: Under The Bottom and Bad Seed!! 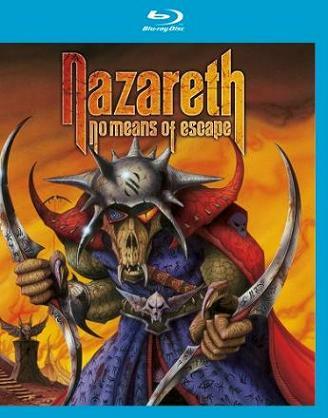 'No Means Of Escape' - the art cover is a brand new version of 'Friendly Fred' by fantasy artist Rodney Matthews. So far so good. A running time of approx 173 mins with the Live At Metropolis gig (2014 - 13 tracks featuring Linton Osbourne on vocals) and the documentary Made In Scotland, plus bonus features such as the acoustic session track 'Sunshine', additional interviews, and meet the super fans with their tattoos and stories. Aye! Original Taggart, Haggis, Kilt, The Highlands, William Wallace, Alex Ferguson, Tartan, Skara Brae, Bagpipes, and of course Nazareth, they all have a special place in the hearts of the Scots. Originally formed in December 1968 in Dunfermline, Scotland, from the remaining members of local group The Shadettes (formed in 1961) by vocalist Dan McCafferty, Manny Charlton (guitars), Pete Agnew (bass), and Darrell Sweet (drums). They took their name from the first line of The Band's classic song "The Weight" ('I pulled into Nazareth') and Agnew (the sole remaining original member) speaks about it in the documentary, "The song came on and I said, what about Nazareth? And I tell you what it was. They didn't all go, Yeah! But nobody said no, and that's the reason why we're called Nazareth. Nobody said no." "They've played 45+ years without a break. They never stop". I actually feel sorry for singer Linton Osbourne. How do you replace a legend such as Dan McCafferty after 43 years as their front man? Dan was forced to retire on 28 August 2013 due to ill health (he's got this illness that makes it difficult to breathe) and poor Osbourne didn't last for long and announced his departure from the band in early 2015. The band announced a couple of weeks later that Carl Sentance (Persian Risk, Krokus, Geezer Butler Band), was their new lead vocalist. It's weird to watch the gig knowing that the singer has already been replaced and you do miss Dan-The-Man. It's not up to me to say, but perhaps it's time for the refrain? It's nearly impossible to carry on after spending all those years (43 on record) with the one great vocalist. Hoodoo wanna voodoo? 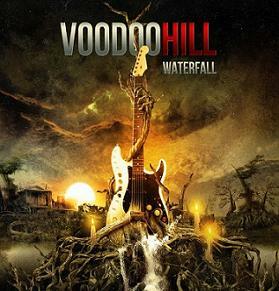 It's been 11 long years since last we hang out at the Voodoo Hill. Time passed, things changed, and merely The Voice Of Rock stayed the same. Let's face it. Glenn is God, what a voice, still at the top of his game in the year of 2015. 'Too fat to rock' according to Gary Moore already back in 1985, and basically the massive drug user and 'has-been' according to most. Well. 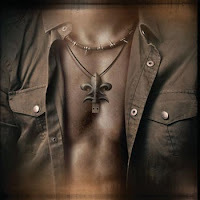 Hughes never leave you disappointed on record and that goes for every single effort from Deep Purple to Black Country Communion, Black Sabbath, Trapeze, Gary Moore, Phenomenia, John Norum, Hughes/Thrall, etc. Sheer class from first to last note. "Waterfall", the latest work of the duo Glenn Hughes and guitarist/songwriter Dario Mollo. 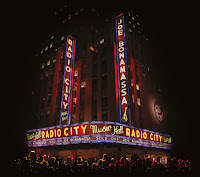 We're talking about classy arrangements and compositions in the 70's meet 80's melodic hard rock style. It's actually a lot more melodic and 80's sounding than previous album (also great and one of my fave albums of 2004) that had this dark riffing and Sabbath meet Kyuss sort of agenda. They have returned with a sound that is easily as good as any Hughes fronted act in the past 30 years. The songs slams its way out of the speakers and in to your little grey cells. Not (always) instantly catchy though and you need to spin this a couple of times to get the full picture. 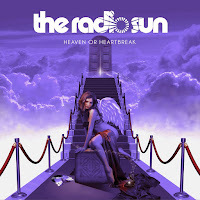 'Underneath And Down Below', the superb mid-tempo track slash semi-ballad that grows for each spin. 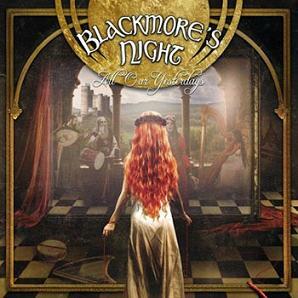 It simply oozes of Blackmore and Plant. The title track, the ballad of the year? And there's plenty of great uptempo rockers that show us a duo that didn't stagnate or become just another bleak version of proper rock'n roll. Recommended. Holy Sweet... Michael and Robert? 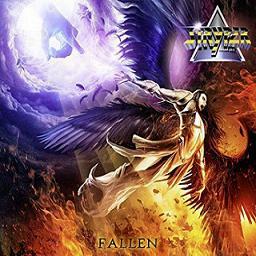 It clearly reads Stryper on the disc, but it's like if they've been on steroids for the last couple of years (Jesus Juice?). Everything is harder, heavier, and dare I say better? than in a very long time. Don't get me wrong. I'm the massive fan of To Hell With The Devil (it's still their best effort in my humble opinion) and all of the Mickey Mouse harmonies of the past. I treasure the yellow and black attack and In God We Trust had its fun moments. But this is overall a much more together effort metal-wise, vocal-wise, and let's face it, Michael simply can't reach those insanely high notes any longer. The excellent trademark harmonies are still there, just not crazy over-the-top or across the universe. The sound is harking back to the first mini-album only with a galloping beat. 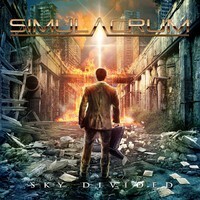 Airtight solos collide with a muscular groove and it's more towards the sound of classic heavy metal than ever before. It's never blunt or boring though and "Love You Like I Do" will most certainly remind you of Always There For You. It's just not (as) hysterical over-the-top or sugar sweet. Oz Fox beats the crap out of his six-string and the catchy refrain fits perfectly in with the sound. They seem to be enjoying themselves in the studio. Sevendust member Chris Lowery co-wrote lead single, "Yahweh" and it's basically heavy in a good way and structure. For the rest of the album, you'll be headbanging as well as singing-a-long to the melodies at the same time. You'll be on your knees, shouting along to the words of 'King Of Kings' no matter if you're a believer or not. 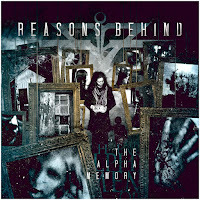 And yes, there's a ballad amongst the tracks (All Over Again) as well as the Black Sabbath cover (After Forever). The downers, the drums are not nearly as fat as wished for and the same goes for the bass sound. But it's overall a blessed eighties metal stack of the yellow and black attack. The f-i-n-e album effort without any major downers whatsoever. Joel Hoekstra, who? Former Night Ranger and current Whitesnake guitarist, that's who. He's also part of the Trans Siberian Orchestra, but we never payed much attention to be completely honest. 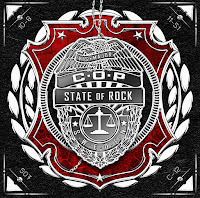 The 13 tag and band members such as Tony Franklin and Vinny Appice lead us first to to believe in Blue Murder and John Sykes only to realise that we've included the wrong Appice brother/drummer. Oh well. 'Dying to Live' is still something that John Sykes and Blue Murder could have recorded in the early nineties and I sort of think of Hoekstra as the lesser version of Sykes somehow? That's a bit harsh, but not necessarily wrong. Russell Allen (Symphony X, Allen/Lande) and Jeff Scott Soto (Yngwie Malmsteen, Journey, Talisman, Eyes, etc.) are the two lead vocalists on the record and the latter gets stuck with second grade/rate material. Indeed. Allen sings all the goodies such as 'Anymore', 'Changes', or 'Long For The Days', excellent mid-tempo Whitesnake rock. In fact. Allen has never sounded this close to Coverdale in the past. Compare this to the blunt work of "Scream" and you'll notice that Soto is losing out big time. The only good thing about this track, the keyboards by Derek Sherinian (Dream Theater, Kiss, etc). 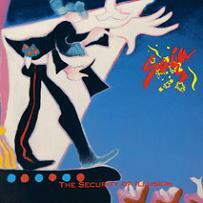 The title track (sung by Allen) and 'What We Believe' (sung by Soto and TSO singer Chloe Lowery) are the two exceptions as the first do absolutely nothing while the latter goes down smooth as the Heart/Led Zeppelin folk tune. The hit and miss kind of album. Neat guitar work though. 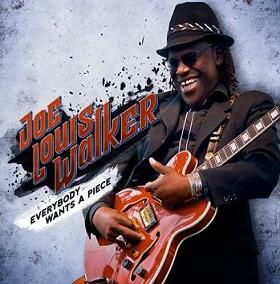 Everybody Wants A Piece of Blues Hall Of Fame inductee, Joe Louis Walker? Yes indeed. It's proper roadhouse and barroom boogie from the 66 years young guitarist (Tower of Power, Bonnie Raitt, Buddy Guy, Ike Turner, etc). It's the back to basic, back to the roots kind of album. Walker pays tribute to the past as he plays average blues tunes that brims over with tongue-in-cheek attitude and simplicity. Simply check out the boogie-woogie of 'Buzz On You' for proof to the fact that sometimes you don't have to change a winning concept even though it's been played to death for the past 60 years or more. The powerful ballad, 'Black & Blue', timeless stuff and something that could have been the work by any one from Buddy Guy to Fine Young Cannibals (weird, but true!). The attempt at being something more than an blues artist is obvious at 'Witchcraft' since it's blues, funk and soul, all rolled in one. The tone is warm and welcoming and the spiritual side shines through in several compositions. 'One Sunny Day' have an fine understanding on how to make a blues work and the instrumental 'Gospel Blues' takes down the tempo like a sledgehammer to the head. Hardly everything on here is great, fresh or new. It's still a decent effort from the Walker. Immediately striking is the powerful approach of the song, 'Taken Away'. Lyric that speak of darkest nights, shadows that come to life, and the sorrow of losing your precious one. "Someday I want to show you everything you've taken away from me". Indeed. Ex-Savatage singer Zak Stevens did well to start making music in the strangely familiar formula of Circle II Circle. Sure. 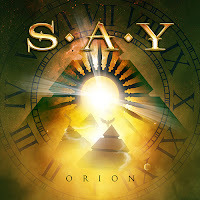 They might at first glance just appear to be another Power metal outfit that people only wish to cherish as long as there's no Savatage reunion, but they are an extremely talented band with excellent twin guitar work by Bill Hudson and Christian Wentz. You only need to hear the opening riffs to 'Victim Of The Night' and 'Untold Dreams' in order to appreciate their wicked licks and tricks. The slightly down tuned work of 'It's All Over' and 'One More Day' are on the other hand not quite as impressive. It's frankly just too much of the late nineties past and not enough of proper metal? The great range and soaring vocals of Zak, always at the centre of attention as he come off sounding as the real deal. Definitely at his best during epic sounding tracks such as 'Somewhere', 'Deep Within', 'Solitary Rain', where keyboardist Henning Wanner finally receive a place in the spotlight. I only wish they would dress up all of their compositions in atmospheric and lavish orchestration. 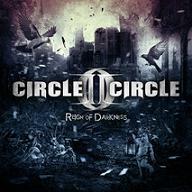 It's the pattern of success and Circle II Circle should really explore the full rock opera thingy on their next album. "You might say that Reign of Darkness represents a musical reinvention for us, but the minute you hear each song you know right away that it's CIIC. We wanted to pay homage to the past, but we also wanted to create a musical renaissance within our genre that is fresh and energetic. This is an album that will positively pave the way for our future. "- Zak Stevens. Final verdict: Solid as a rock, but not enough of roll. Since then, Adams has been one of those artists that releases a ton of middle of the road stuff with a handful of tracks that remind you of what he once was. ‘Get Up’ is yet another mixed bad, unfortunately, but at least it has some promise contained within. So let’s start with the good: it has some good tracks on it. No great tracks, not really, but certainly some that will perk you up, like the upbeat, catchy ‘You Belong To Me’ or album closer and standout track ‘Brand new Day’. The last, more than any other, really brings to mind classic Adams and deserves to be a hit. There’s songs straight out of the Rock Cliché handbook, like ‘Go Down Rocking’ and ‘Thunderbolt’, and of course there’s ballads, none of which have a tenth of the passion of the likes of ‘Heaven’ or ‘Rebel’. To be completely honest, you get nine new tracks, about six of which are worth the price of admission. So we come to the not so good. Tacked on the end of the album are acoustic versions of four of the previous tracks, about as pointless as Rob Halford’s hairdresser. Without these, the nine tracks that really form the album give you a mere 25 minutes of entertainment. Okay, there have been great short albums in the past, but this doesn’t even fill out that short time in a memorable way. The addition of the covers seems to be an artist who’s run out of songs and is on a deadline. The final bit of not so good is Adams’ vocals. Now don’t get me wrong he can still carry a raspy tune, but there is no real passion anywhere to be seen. It’s probably just age, but I don’t think Adams could convince me any more that the kids wanted to rock. 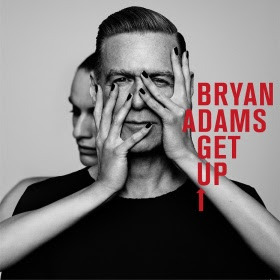 So whilst the return of Vallance has added definite value, and the production by Jeff Lynne is clear and bouncy, ‘Get Up’ ultimately falls down. There’s five or six songs that old time fans can take to their hearts, plus some dull ones and some pointless acoustic covers. Make of that what you will, but don’t expect another ‘Reckless’ because you’ll be sorely disappointed.